To stay on budget, there were no design drawings, instead lawn paint was used to outline the pathway and planting berms. My goal was to design a beautiful garden with a sense of order, while retaining the integrity of the surrounding woods. • Removed all grass — too time consuming to rejuvenate and too expensive to maintain. • Removed dead tree — dangerous, more sunshine. • Bridged the slope — gravel pathway with edging that crosses the front yard to the back. • Designed a small patio with inexpensive concrete blocks and gravel — charming & inviting. 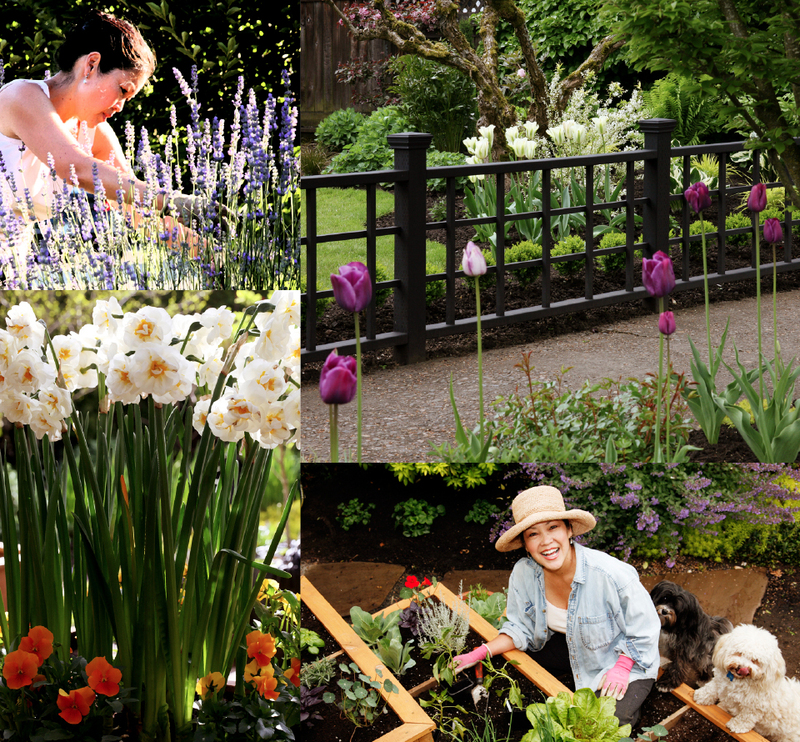 A simple, garden makeover on a budget — beauty, definition, and purpose, while retaining the integrity of the surrounding woods.